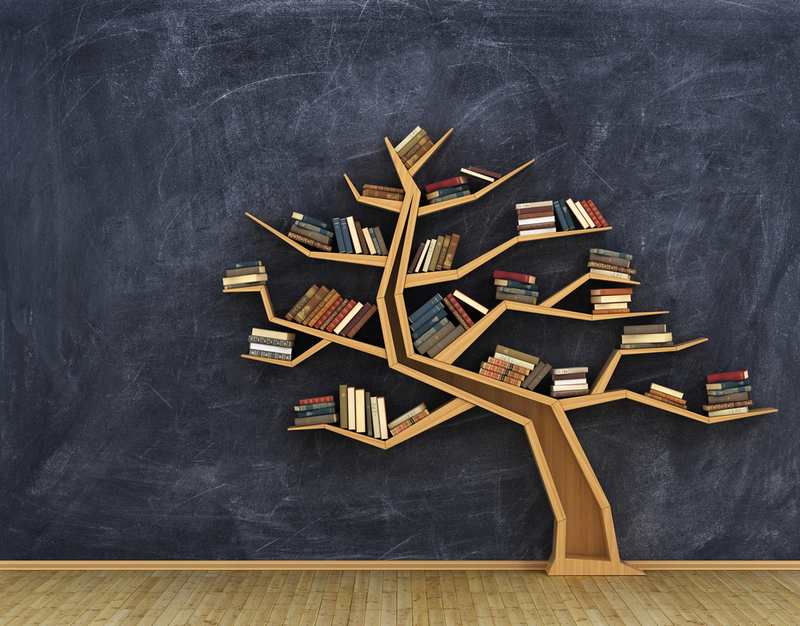 Bookshelves are the one part of our homes that are most likely to have the largest pile of clutter. It seems to be a universal madness, unfortunately. 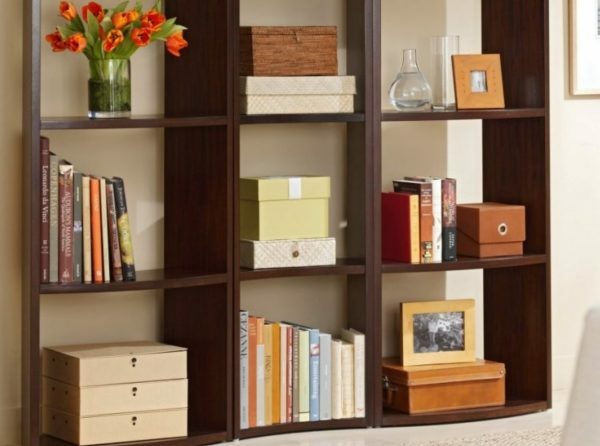 The main objective behind installing a bookshelf is usually lost once the shelves are actually in place. It goes from a place to store, organize and arrange books to a surface to dump unread mail, out-dated magazines/newspapers, and toss old keys and jewellery. This usually builds up to so much clutter and junk that the actual bookshelf is lost behind the pile. Bookshelves do not have to be just plain, boring slabs of wood or layers of shelves. People now take their bookshelf designs to the next level, with floating bookshelves and creative designs. The more effort you put into designing your bookshelf, the more heart-breaking it is if all that uniqueness is hidden behind a pile of last year’s newspaper. Then, some bookshelves just seem to call for the clutter – oversized bookshelves with multiple layers. Before installing a gigantic bookshelf, first consider where it will be placed and what it will be serving as. If it is going to serve as a family bookshelf, a larger size would be more understanding. A library and office bookshelf would also require bigger structures. But, a children’s bookshelf should definitely be a smaller size to avoid the temptation of cluttering. And then, with a decorative or living room bookshelf, you may want to consider going for a small to medium sized structure, or strategically placed shelves; for example, a floating bookshelf, to create a more beautifying, decorative effect. If you have an unavoidably large number of items going on your bookshelf, it may be in your best interests to reflect on building in some concealed storage with your bookshelf ideas. This would give the illusion of way less clutter, and allow more space for the really worthy, impressionable pieces like pictures, flowers and those occasional books. You can use ideas like creating small drawers or shelves in a flight of stairs, or in the wooden ceiling. Not only will these bookshelves create a beautiful visual effect on your walls, they are also a great way to minimize clutter and ensure that your bookshelves hold only the necessary. A good reason is that the shelves provide minimal space, do not have hidden or bottom compartments where random objects can be tossed and just look too trendy to be abused with clutter. For an even more trendy and unconventional bookshelf design, you can take it a step further with a DIY rope bookshelf. This innovative design can be easily made, and all you really need is some rope, some slabs of wood and a hanging nail. You can start with four slabs of wood and a length of rope. Drill two small holes into both ends of the slabs of wood for the ropes to run through, and push each end of the rope through each hole. Tie the ropes at the bottom, and hang the entire thing by the ropes wherever you wish. This bookshelf ides ensure that there is limited space for clutter as it does not provide too much space, and is not built to hold a lot of weight in items. Doing interior design yourself is always the best idea if you know some basics of interior designs. But when you want to make your home’s interiors stand out from others, you need professional help. If you are from Los Angeles, choose from some of the best Los Angeles interior designers. If you are from elsewhere, you can search with interior design near me to find the best available professional interior designers.